UNITED NATIONS The United States and China have reached agreement on a new sanctions resolution to punish North Korea for its latest nuclear test, U.N. diplomats told The Associated Press late Monday. The agreement is seen as a sign of Beijing's disapproval of Pyongyang's behavior and will be welcomed in Washington. 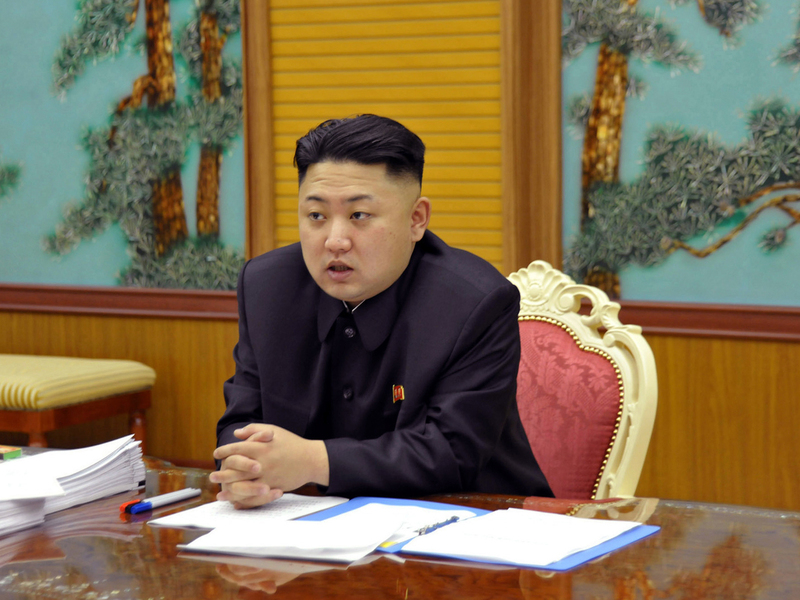 It comes as U.S. lawmakers push for tougher U.S. financial restrictions on North Korea. The U.N. Security Council announced late Monday evening that it will hold closed consultations on North Korea and non-proliferation on Tuesday. The diplomats, speaking to the AP on condition of anonymity because no official announcement has been made, said the United States is expected to circulate a draft resolution to the full council at the meeting. Council members are then expected to send the draft to their capitals for review. U.N. diplomats told the Reuters news agency they hope the council will vote on the resolution by the end of this week. "I hope to see a draft (Tuesday) perhaps, but you know, it's up to the Americans," a diplomat told Reuters on condition of anonymity. All 15 council members approved a press statement condemning Pyongyang's nuclear test and pledging further action hours after North Korea carried out its third atomic blast Feb. 12. The swift and unanimous response from the U.N.'s most powerful body set the stage for a fourth round of sanctions against Pyongyang. South Korea wanted the U.N. resolution to pass in February, when it held the Security Council presidency, CBS News' Pamela Falk reports from the U.N., "but a compromise proved difficult, and there still may be changes that dilute the draft when it goes to all the nations' leadership." The course to take regarding North Korea still hangs on China's fear that, if North Korea were to collapse economically, a flood of refugees would head for China, diplomats at the UN tell CBS News. But, Falk adds, the fact that China came to the table, again, to impose tougher sanctions, is a reflection of China's new leadership and an accumulated frustration with North Korea's intransigence with regard to its nuclear program." For the last three weeks, the United States, a close ally of South Korea and Japan, has been negotiating the text of a new resolution with China, North Korea's closest ally. Russian U.N. Ambassador Vitaly Churkin, whose country holds the council presidency this month, told a news conference Monday that a resolution on North Korea might be approved in March, though the text had not yet been circulated. Last month's statement from the Security Council called the underground test in February a "grave violation" of three U.N. resolutions that ban North Korea from conducting nuclear or missile tests. North Korea's three nuclear tests -- in 2006, 2009 and 2013 -- occurred after Pyongyang was condemned by the United Nations for rocket launches. The Security Council imposed sanctions after the first two nuclear tests and after the North's rocket launch in December, which was viewed as part of the country's covert program to develop ballistic missiles that can carry nuclear warheads. The sanctions are aimed at trying to derail the country's rogue nuclear weapons and ballistic missile programs. They bar North Korea from testing or using nuclear or ballistic missile technology, and from importing or exporting material for these programs. The latest sanctions resolution, adopted in January, again demanded that North Korea abandon its nuclear weapons program and cease missile launches. It slapped sanctions on North Korean companies and government agencies, including its space agency and several individuals. The diplomats said they did not know what new sanctions would be included in the resolution to be circulated Tuesday. There has been speculation that a new resolution will strengthen existing sanctions related to North Korea's nuclear and missile programs, toughen financial restrictions and cargo inspections, and add companies and individuals to the sanctions list. In the meantime, the foreign affairs panels of both houses of Congress this week will consider the Obama administration's next policy options to impede Pyongyang's development of missiles and nuclear weapons, which are increasingly viewed as a direct threat to the United States. On Tuesday, the Republican-led House foreign affairs panel will examine how criminal activities support North Korea's authoritarian regime. That could buttress the case for leveraging the vast reach of the U.S. financial system to pressure international banks that deal with the North. North Korea long has been believed to have derived hundreds of millions of dollars a year from criminal activities such as counterfeiting of cigarettes and U.S. currency, drug trafficking and insurance scams. Its sales of missiles and conventional weaponry are also outlawed under existing U.N. resolutions. Targeted U.S. financial sanctions have been tried before and have had a significant impact but have upset China, the North's main source of economic support and the country where it conducts most of its trade and financial transactions. The U.S. wants Beijing to exert more pressure on North Korea, and China's willingness to agree to more U.N sanctions shows its patience is wearing thin. It remains to be seen, however, whether diplomatic action on more sanctions translates into their implementation on the ground. There is deep frustration in Congress over the international diplomatic efforts aimed at persuading Pyongyang to end its nuclear weapons program in exchange for aid. Talks, hosted by China, have been stalled since 2009. A U.S. attempt to offer food aid in exchange for nuclear concessions last year fell flat. The new North Korean leader, Kim Jong Un, has adopted a confrontational approach toward Washington, although he did meet last week with former American professional basketball star Dennis Rodman. House Foreign Affairs Committee Chairman Ed Royce said that, since President Clinton's administration, U.S. policy toward North Korea has been a "bipartisan failure" based on the hope that Pyongyang would do the right thing. The California Republican said Tuesday's hearing "will identify the best strategy for cutting off North Korea's access to hard currency in order to see real change." Sung-Yoon Lee, professor of Korea studies at Tufts University, who was among those scheduled to testify, said the North's "shadowy palace economy" makes the Kim regime vulnerable to actions targeting money laundering. He suggests the Treasury Department require American banks to restrict their dealings with foreign individuals, banks, entities and even entire governments that are linked to North Korea's government. "The Obama administration has apparently not decided on this approach, but the political climate is conducive to trying something like it," Lee said. Marcus Noland, an expert on North Korea's economy at the Peterson Institute for International Economics, said the North's illicit activities continue, although their overall importance for the North's economy has declined as its international trade, particularly with China, has grown sharply. China accounts for 70 percent to 80 percent of North Korea's trade and totaled more than $7 billion in 2011. In a rough estimate, Noland estimates that arms and illicit exports accounted for just under 10 percent of the merchandise the North traded in 2011, compared with more than 30 percent in 1999 when the economy was at a low point after years of famine. International interdiction efforts have also impeded the illicit trade, he said. The North's improved financial standing could help explain its recent provocative behavior in conducting rocket and nuclear tests. "If you are running a surplus and China is in your corner and won't implement U.N. embargos, then you can be provocative," Noland said. "But North Korea is heavily dependent on China, particularly for energy, and if China changes policy and literally cuts off the pipeline, then they're in real trouble." In 2005, the U.S. Treasury sanctioned Banco Delta Asia, a bank in the Chinese territory of Macau which held about $25 million in North Korean funds. Treasury accused the bank of introducing counterfeit notes and laundering funds on behalf of North Korean enterprises linked to weapons of mass destruction programs. The 2005 action caused a ripple effect among other banks worried about being shutout of the international financial system. Yet the sanction annoyed Beijing - as well as enraging Pyongyang - and proved complicated to undo when nuclear negotiations with North Korea finally got back on track. The U.S. could also target the North's shipping by declaring the country a criminal enterprise, making vessels carrying its goods difficult to insure and subject to search and seizure, Noland said.